My Buddha is pink: Join the discussion on Facebook! I’ve created a Facebook page for My Buddha is Pink. While I will continue to blog here the way I have been, I think the Facebook page will allow for greater flexibility to cover other Buddhist and gay-related topics. More discussions, links to news and events, and just plain sharing and socializing. I hope you take a look here at the page and become a fan. And when you do, join the discussion! I’ve already asked a question about the individualistic nature of the Buddhist practice and how to balance that with a need to develop a community of practitioners that identify together as more than just Buddhist. It’s been a topic from time to time throughout the Buddhist blogosphere. What’s happening in Singapore is a gay Buddhist group called Heartland is feeling pressure from local Christian groups that create social activities to not only attract new members, but to strengthen relationships between current members. In Asia, Buddhist practice in many places is very ritualistic and individualistic. People come to a temple to make offerings, pray, chant, meditate and make prostrations. But seldom are there regularly scheduled activities to bring congregants together for social activities. 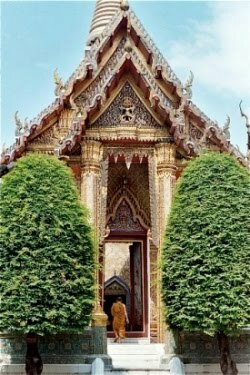 Many ethnically-based temples in the U.S. do create social activities for members, but often these are centered on sustaining the members’ cultural identity. Certainly we have discussed throughout the various blogs the “Westernization” of Buddhism and what that means. Does it mean Anglifying it? Or does it mean blending the practice American culture that makes the practice relevant and attractive without crushing the core concepts under the weight of commercial superficiality? Stop by my new page and let’s get the discussion rolling!